Charles Busch’s Die! Mommie! Die! theoretically has all the elements that makes a Fringe hit — flashy costumes, an outlandish plot, invasive medical aids and especially a female impersonator as the main character. But Die! Mommie! 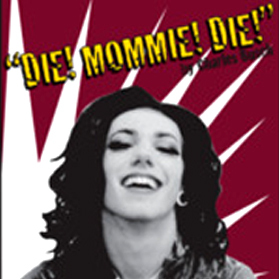 Die!, a production that University of Tampa students first performed on their campus last fall, comes to Fringe with the life sucked out of it. Director Ami Sallee has turned Busch’s 1999 comedy into a ponderous 90 minutes, and her six student actors don’t have the experience to deliver their flamboyant characters of their laughs. The reliable Busch (Psycho Beach Party, Vampire Lesbians of Sodom, The Tale of the Allergist’s Wife) has provided a script with plenty of promise — an aging former nightclub star who wants to murder her wealthy husband, a sultry daughter who’s too attached to the father and a vacuous son who’s too attached to Mom. There’s also Mom’s gigolo boyfriend, who seduces both her offspring, and there’s the maid who thinks she’s the only one who understands Dad. But Sallee’s overproduced version, with its too-loud soundtrack (the Turtles’ “Happy Together,” a strange choice, drowning out the characters’ dialogue), doesn’t even lead the actors to project in the 328-seat silver venue, the Edyth Bush Theatre, and it hits some of the jokes (the giant suppository) so hard that nobody laughs. Too bad that these under-prepared students worked so hard to turn out a show that leaves its audiences unamused. Thursday May 26, 6:15 p.m.
Sunday May 29, 5:10 p.m.